Asheville-based Plasticard-Locktech International, the world’s largest manufacturer of hotel keycards, is holding a job fair on Thursday, June 3 from 2 p.m. until 7 p.m. The company is filling 20 to 25 full-time positions in all departments, including sales, production, accounting, quality assurance and administration. The job fair will be held at the company’s headquarters at 605 Sweeten Creek Industrial Park in Asheville. PLI was founded in 1988, and it has been named to the Inc. 5000 list of the fastest-growing private companies in the United States year since 2007. In addition to hotel keycards, the company produces specialty printed plastic and paper products including gift, loyalty and membership cards; ID badges; key fobs; luggage tags; static clings; door hangers; and large-format graphics such as posters and banners. Full-time employees receive an extensive benefits package, including competitive wages, medical and dental benefits, paid time off and a 401(K) retirement plan. Applicants are asked to bring a résumé to the job fair, or they can fill out an application on-site. To receive more information about the job fair – along with a PDF of an application and instructions on how to apply if you can’t attend the fair – email jobfair@plicards.com. PLI uses the E-Verify system to determine employment eligibility for all new hires. PLI is located at 605 Sweeten Creek Industrial Park. From I-40, take Exit 51 (Sweeten Creek Rd.) and turn left at the end of the ramp. About 6/10 mile ahead, turn left at the light into Sweeten Creek Industrial Park and follow the signs. For more information about PLI, visit plicards.com. 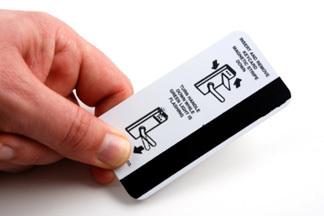 Plasticard-Locktech International is the world’s largest manufacturer of hotel keycards and a printer of specialty plastic and paper products. Founded in 1988, the company works with most major hotel chains as well as thousands of event planners and advertisers, producing hundreds of millions of items each year. For the past three years, PLI has been named to the Inc. 5000 list of the fastest-growing private companies in the United States. For more information, visit www.plicards.com. 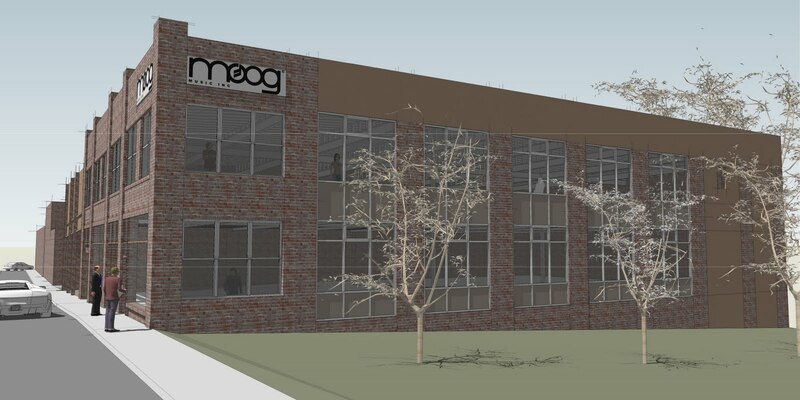 Moog Music, in conjunction with the City of Asheville and the Economic Development Coalition for Asheville Buncombe County, is pleased to announce a $2.5 million investment in a new downtown Asheville company headquarters. On May 18, 2010, Moog Music finalized the purchase of the vacant 160-170 Broadway St., just north of the I-240 overpass. The Broadway site was chosen by Moog Music for its close proximity to the downtown music venues and the river arts district. “This location is ideal for Moog and our employees; we will bring commerce, economic vitality and livability to this once neglected entrance to the city,” said Michael Adams, President of Moog Music. “Our plans include an extensive renovation of the structure that will transform the façade from an eyesore to a landmark that embodies Moog’s spirit of innovation, one that our company and our community can be proud of.” The location will house the company’s 35 employees engaged in worldwide sales and marketing, research and development, and manufacturing operations. Moog Music designs, engineers, and manufacturers electronic musical instruments including the Minimoog Voyager, the Little Phatty Synth, and the recently introduced, patented, award winning Moog Guitar. Moog Music was founded in Trumansburg, NY in 1954 and was on the forefront of innovation of synthesized music. The company’s founder, Bob Moog, moved to the Asheville area in 1978. After some years consulting and teaching at UNC-Asheville, Dr. Moog began making electronic musical instruments in 1994. The first instruments were released under the name Big Briar and then, beginning in May of 2002, as Moog Music. “This redevelopment by Moog brings the Broadway corridor one step closer to the vision long advocated by city and community planners,” said City of Asheville Mayor, Terry Bellamy. “The City is excited to welcome an employer like Moog whose international reputation for excellence, innovation and creativity will complement our vibrant downtown community.” Moog Music has been selected by the City to receive $50,000 in Community Development Block Grant funds in support of the project. As part of this expansion and expected company growth, Moog anticipates adding an additional 10 – 15 employees over the next three years. 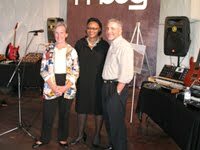 “The County applauds Moog Music on this exciting expansion and its continued contributions to our economy and workforce. The move will not only strengthen our advanced manufacturing economy but enhance Asheville’s reputation as a premier music and arts destination,” said David Gantt, Chair of the Buncombe County Commission. Moog Music will begin renovations on the Broadway site in the coming weeks with the use of local architect, Keith Hargrove, and H&M Constructors. Work should be completed in late 2010. Montreat College is pleased to welcome Mr. Jonathan Shores to campus as Vice President for Adult Studies. Shores will assume his responsibilities for the administration of the School of Professional and Adult Studies (SPAS) on Tuesday, June 1, 2010. While working closely with the Charlotte and Asheville campuses, Shores will be based at the Black Mountain campus. A native of Salisbury, N.C., Shores and his family are relocating from Fuquay Varina, N.C. to the Asheville area. Shores is married and has two daughters. In transferring from the greater Raleigh area, Shores is leaving his current post as the Director of the Research Triangle Park campus of Mount Olive College. In that capacity, Shores oversaw more than 900 non-traditional (adult) students and also worked as an adjunct professor of marketing at Mount Olive College. A non-commissioned officer in the Air Force National Guard who joined in 2000, Shores has served three deployments in Iraq and Afghanistan since September 11, 2001, supervising as many as 45 airmen at a time. After receiving his BS in Trust and Wealth Management from Campbell University in Buies Creek, N.C., Shores earned an MBA with a concentration in Marketing Management from Campbell. 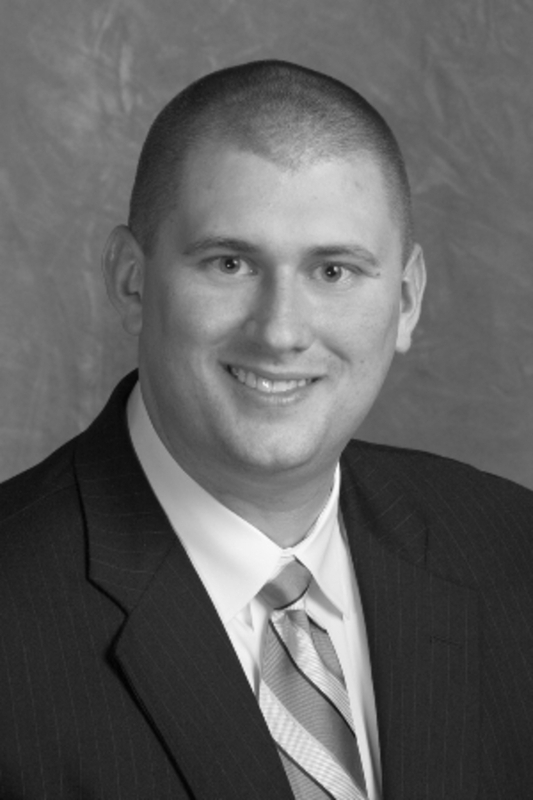 Currently, he is completing work on a Ph.D. in Marketing through Northcentral University in Prescott Valley, AZ. Montreat College is a Christ-centered liberal arts institution with its main campus for four-year traditional students in Montreat. The accelerated School of Professional and Adult Studies program has campuses in Asheville, Charlotte, and Black Mountain. Cancer Centers of North Carolina-Asheville (CCNC-A), an affiliate of US Oncology, Inc. the nation’s leading integrated oncology company, took home numerous honors at the 27th Annual Healthcare Marketing Report Awards Competition. Out of 4,000 entries, CCNC-A’s “No Mountain Too High” campaign won 3rd overall (Bronze) in the total advertising campaign without television category. The motivational and artistic campaign also won Bronze in Radio and a Merit in the Outdoor/Transit category. CCNC-A’s “No Mountain Too High” campaign was created by the Practice Growth Resource Center (PGRC) of US Oncology and consisted of radio, print and billboards, as well as Cancer Awareness Calendars, direct mail and collateral materials. 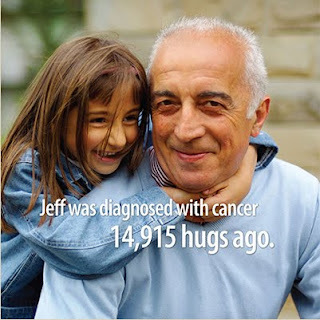 The advertisements denote the recently launched US Oncology branding campaign, “United in Healing with US Oncology.” US Oncology unites the nation’s largest cancer treatment and research network to bring high-quality, evidence-based treatment to cancer patients in communities where they live and work. How do you capture the perfect moment in nature, when the clouds are moving and the light is changing so quickly? Plein air artist Karen Weihs has embraced that challenge for most of her adult life. 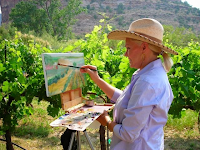 To paint “en plein air”, or “in the open air” is a painting process that gained popularity in the 1870’s and now has more followers than ever. Even her abstracted landscapes that are produced in the studio come from smaller painted studies of light and color in the field. Karen Weihs is a professional painter and a teacher who professes to learn more from her students than they can take from her workshops. A native of Charleston, South Carolina she has taught color theory and oil painting throughout the United States and even a number of workshops in Europe. In 1999 she authored her first book, Out of My Mind: Life lessons as an Oil Painter. Weihs’ knowledge of the oil medium is especially apparent in her distinctive paintings, which integrate bold yet muted pigments and powerful compositions. With precise command of the oil’s chemistry and texture, Weihs conjures an atmosphere of otherworldly light and fluid color. For the last four years Karen and her husband Chris have happily called Asheville home and she is now one of our most prominent artists. “From Field to Folly” is a celebration of Karen’s return to her roots and a new body of work direct from the field, combined with other relevant paintings from the studio with just a touch of folly. From traditional impressionism to contemporary abstract, Weihs is turning out the best work of her career. Join Karen on Friday evening for a special night of wine, refreshments, and live music. BlackBird Frame & Art is an independent art gallery and custom frame studio owned by Pat and John Horrocks and located at 365 Merrimon Avenue in Asheville. If you would like more information about this topic, please contact Philip DeAngelo at BlackBird Frame & Art, 828-252-6036 or philip@blackbirdframe.com. The U.S. Department of the Treasury’s Community Development Financial Institutions Fund (CDFI Fund) released today the names of five organizations which will receive federal grants under the first round of the Financial Education and Counseling (FEC) Pilot Program. The grants, totaling $2 million in award funding made possible through fiscal year (FY) 2009 Congressional appropriations, will provide organizations financial assistance to establish and expand financial education and counseling services for prospective homebuyers. The CDFI Fund implemented this program in collaboration with the Department of the Treasury’s Office of Financial Education and Financial Access. “Financial education and counseling can empower people to build better financial futures and make smarter financial choices. By focusing on behavioral change, this program promises to develop useful new models for effective financial education and counseling,” said Deputy Assistant Secretary Michelle Greene. Each of the award recipients will receive $400,000. The authorizing statute for the program stipulates that no more than five organizations receive awards per appropriation. To view profiles of the FY 2009 FEC Pilot Program awardees, please click here. The FEC Pilot Program was authorized pursuant to Section 1132 of the Housing and Economic Recovery Act of 2008 (Pub. L. 110-289). Through the FEC Pilot Program, the CDFI Fund will identify successful methods of financial education and counseling services that result in positive behavioral change for financial empowerment, and establish program models for organizations to deliver effective financial education and counseling services to prospective homebuyers. The FEC Pilot Program was appropriated $4.15 million in FY 2010, of which $3.15 million was set aside by Congress to be provided to an organization located in the State of Hawaii. The CDFI Fund anticipates opening the 2010 FEC Pilot Program application round within the next 30 days, and will solicit applications from organizations located in Hawaii to compete for the $3.15 million. Since its creation in 1994, the CDFI Fund has awarded almost $1.2 billion to CDFIs, community development organizations and financial institutions through CDFI Program, the Bank Enterprise Award Program, and the Native Initiatives. In addition, the CDFI Fund has allocated $26 billion in tax credit authority to Community Development Entities through the New Markets Tax Credit Program. The poll is OPEN for Charlie Papazian’s “BeerCity, USA” 2010. Help us keep Asheville on top! Spread the word near and far about all the beer culture we have in a little mountain city. Last year Asheville tied with Portland, OR—a city with many more breweries and many more people. But I think Asheville’s beer passion speaks for itself. We’re not resting on our laurels! 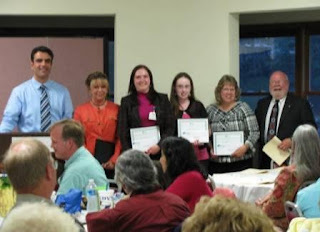 On April 20, 2010, during the credit union's annual membership meeting, four deserving members received a $750.00 scholarship each. A committee of five community leaders from Mission Hospital, Children First of Buncombe County, UNC Asheville Career Center, and the Asheville Area Chamber of Commerce, reviewed all the applications and selected the four scholarship recipients. They are Alena Androsenka, studying Business Management at Mars Hill College, Jennifer Ruff, who is studying Nursing at AB Tech, Maressa McCall, studying Music and Mathematics at UNC Chapel Hill, and Amanda Buff, attending Gardner Webb University and studying Mathematics Education. Congratulations! WNC Woman magazine invites Chamber members to be part of a spicy soirée featuring some of Asheville's hottest, original women artisans & performers. In concert with The MUSE team, WNC Woman is promoting local artists and local businesses at their showcase events. Chamber members receive BUY 2 Tickets GET 1 FREE email Linda@WNCWoman.com today or call 828.367.1316. Tomorrow, Sunny Point Café will go egg to egg for the claim of America’s Best Breakfast from Good Morning America and you can help! Following the Good Morning America segment, being aired during the Saturday, May 15th show, they will open up their website for one day of voting. Each person gets only one vote and voting will end around 8PM on Saturday night. The website votes count for 50% of the overall decision. The other half goes to GMA’s four anchors who have already tasted the food. GMA will announce the winner during the Sunday morning show and will have a live interview from the winner’s location. To vote, go to: http://abcnews.go.com/gma and look for a link that says, "VOTE FOR THE BEST BREAKFAST."